IBM has always topped the list for filing the most patents in a year and it is no brainer that some of these inventions are game changing in certain industries. Recently, IBM has come up with an invention which caters to the emerging problem of global warming and issues such as climate change. Year on year the consumption of air conditioners is increasing worldwide because of heat. The issue lies in the fact that these air conditioners use refrigerants and hydro fluorocarbons which emits heat and thus results in overall climate change. 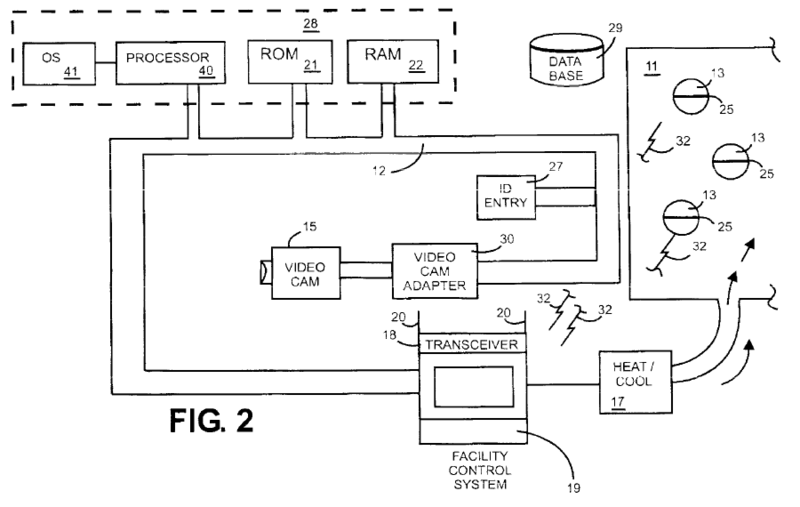 The patent which was issued earlier this month, US 9,465,392 titled ‘Dynamic temperature control for a room containing a group of people’, describes a system which dynamically senses the body temperatures of one or more people in the room. Based on the temperatures sensed for the people which are transmitted wirelessly to the embedded processor, a decision is made whether to increase or decrease cooling resulting in the dynamic temperature being maintained. Further, the system has embedded Cameras which detects smartly if someone is experiencing more sweat than others and then adapt the temperature according to that person say for instance, a dancer performing a show is likely to feel more perspiring than the viewers of the dance. The patent also explains a provision of RFID enabled wristbands which is worn by the user and based on which the temperature of the person is gauged as soon as he or she enters the room and adapt the temperature accordingly. It surely is a smart invention and will address the need to reduce the excessive energy consumption. Let’s hope it conceptualizes soon enough. Previous Post:Boeing will now make you fly in the clouds! I am glad to know that a big company like IBM is taking strong steps towards global warming. Good going IBM! I think this is a great idea. Global Warming effects each one of us and any system which takes care of this problem is helpful for all of us. It will even reduce the energy consumption in a well controlled manner. Kudos to the IBM team. This is a really smart invention by IBM. It will surely contribute towards decreasing the global warming effects globally. I would like to see other industry giants to come up in support of this great initiative.